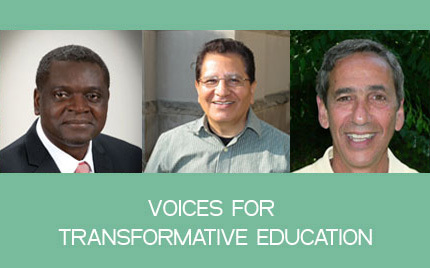 GITE’s co-founder and current Executive Director, Michael Ndemanu, has spent more than 16 years working in public education, from elementary schools through colleges in multiple roles: as a teacher; teacher educator; and a researcher in social foundations, multicultural education, transformative education, global education, and curriculum theories. The other two co-founders have a vast array of experiences in education as well. Daniel Baron is a co-founder of a very successful K-8 charter school, The Bloomington Project School in Bloomington, Indiana. Finally, Serafín M. Coronel-Molina, is a recognized scholar with expertise in educational linguistics and sociolinguistics working on educational issues from interdisciplinary perspective for more than 30 years. Dr. Michael T. Ndemanu is an Assistant Professor in the Department of Education Studies, Teachers College at Ball State University, Indiana. He holds a Ph.D. in Curriculum and Instruction from Indiana University at Bloomington. He received his Master’s degree in English as a Second Language from Langston University in Oklahoma. He completed his undergraduate studies in Higher Teachers’ Training College Bambili and University of Yaoundé 1 in Cameroon. He was born and raised in the South West region of Cameroon. He taught French and English in several schools in the Littoral, Far North, and Adamawa regions of Cameroon for eight years prior to immigrating to the United States. He has received the James Sears Award, Phi Delta Kappa Emerging Leadership Award, and Langston University’s Distinguished Service Award for his research in the field of education. 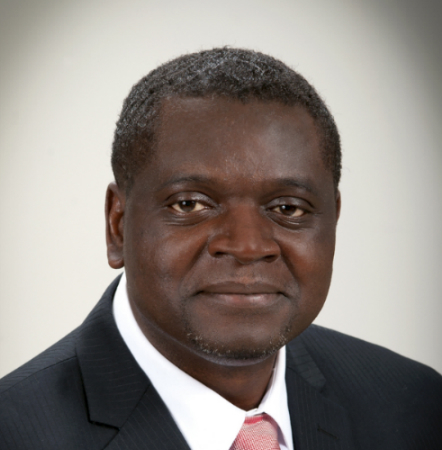 Dr. Ndemanu currently teaches courses in social foundations and multicultural education at Ball State University. His research interests are in the sphere of transformative education, teacher education, pre- and post-colonial cultural identities, multicultural education, and the influences of Niger-Congo languages on African American Vernacular English. 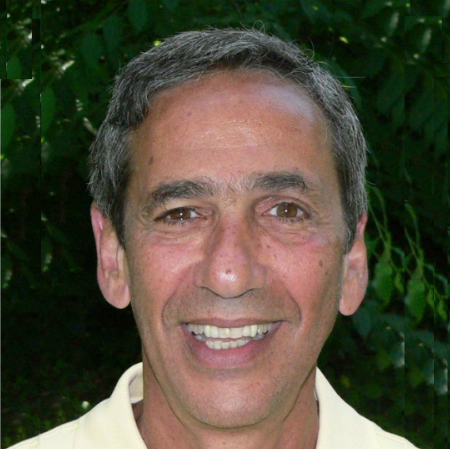 Daniel Baron has spent 40 years working in public, private, and Native American education, and pre-K through college, as a teacher, coach, whole school change facilitator and School Leader. Daniel is a founder of Harmony School and the Harmony Education Center in Bloomington, Indiana. He is a National Facilitator for The School Reform Initiative and was Co-Director of the National School Reform Faculty from 2000-2006. He is an expert in transformative learning and leadership. Currently, Daniel is the Founding School Leader of the Bloomington Project School and the Executive Director of The School Project Foundation. For the last 40 years, Daniel’s work has focused on providing exemplary professional development to school districts and equity-based projects across the country. 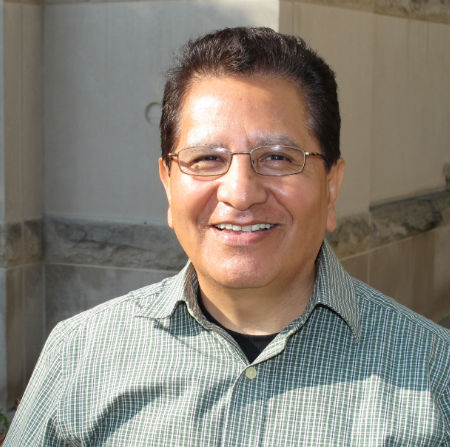 Serafín M. Coronel-Molina is an Associate Professor in the Department of Literacy, Culture, and Language Education in the School of Education, and an Adjunct Assistant Professor in the Departments of Anthropology and American Studies, and in the Latino Studies Program at Indiana University Bloomington. He received his Ph.D. in Educational Linguistics/Sociolinguistics from the University of Pennsylvania, and earned his Master’s degree in Hispanic Linguistics from The Ohio State University. Dr. Coronel-Molina is the Founder and President of the Association for Teaching and Learning Indigenous Languages of Latin America (ATLILLA). Dr. He is also the Founder and Editor-in-Chief of the Working Papers in Literacy, Culture, and Language Education (Indiana University Bloomington). His research on sociolinguistics, language policy and planning, language revitalization, language ideologies, and language contact phenomena appears in a number of book chapters published by Cambridge University Press, Oxford University Press, Routledge, Multilingual Matters, Wiley-Blackwell, Nova Science Publishers, and in several journals such as the International Journal of the Sociology of Language, the International Journal of Bilingual Education and Bilingualism, Lingua, Latin American and Caribbean Ethnic Studies, Amerindia, and Droit et Cultures: Revue International Interdisciplinaire.